History: This site has been updated by D.P. Web Design. 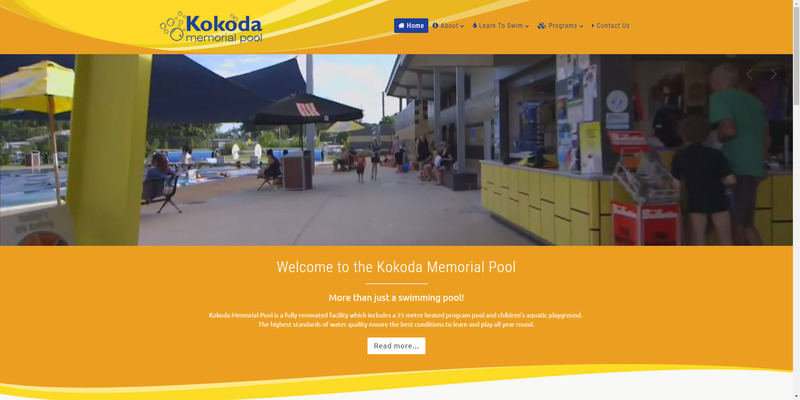 Kokoda Memorial Pool is a fully renovated facility which includes a 25 metre heated program pool and children’s aquatic playground. The highest standards of water quality ensure the best conditions to learn and play all year round. Please supply an official quote sent to your name or business name by a reputable developer. Unfortunatly quotes from overseas companies are not valid, quoting company must have an ABN. We can only provide price matching for services we provide. Unfortunatly we can't price match guarantee because unlike other matching offers we arn't selling goods like alcohol or TVs from a single supplyer and some work may be outside the scope of what we supply. We have the right to refuse a price match if conditions are not met. Hmmm, a newsletter for a web design company... BORING! OK sometimes, but I will be sharing nerdy internat and web design things that you might find useful for your business. Copyright © 2019 D.P. Web Design. All Rights Reserved.